In the days before the Internet, 24-hour news channels and instant information access, the majority of Americans got their world news through the newspapers like Foreign Correspondent’s Daily Globe. Apparently, The Daily Globe isn’t pleased with the milquetoast lip service reports it’s currently getting from Stebbins (Robert Benchley), its reporter assigned to London. The editor gets so upset that he decides to send a volatile but passionate reporter who’s on the verge of being fired to take his place. The editor figures that a fresh “unused” mind would have the most interesting and honest perspective, so he sends John Jones (Joel McCrea) over and tells him to cover the important peace conference in Amsterdam. It’s at this council that the destiny of Europe is likely to be decided. The key note speaker at the peace conference is Mr. Van Meer (Academy Award nominee Albert Basserman), and Johnny, now going by the pen name Huntley Haverstock, just happens to catch a ride with him. He asks him dutiful reporter-type questions, and as a true diplomat does, Van Meer remains friendly but vague, though definitely downbeat about prospects of peace. When they arrive, Van Meer vanishes in the sea of international diplomats, while Johnny finds a beautiful young woman, Carol (Laraine Day) to flirt with. Strangely, Van Meer doesn’t show up at the conference at all, forcing Carol to make an improvised speech about their cause. The next day, at a second gathering of diplomats, Johnny sees Van Meer coming up the steps and runs out to greet him. Van Meer doesn’t seem to recognize him, which is the least of his problems: with Johnny standing right next to him, a photographer shoots Van Meer in the face. Johnny chases the murderer through the crowds and eventually ends up in a car with Carol Fisher and British reporter Scott ffolliot (yes, that double lowercase is intentional), chasing the murderer into the Dutch countryside. Around a tight turn, the murderer’s car disappears. Johnny notices something amiss with one of the windmills nearby, and decides to do some investigating. What he finds is a coven of German-speaking thugs, but even more intriguing, he finds a drugged up but definitely alive Mr. Van Meer in the attic. He’s completely incoherent, but Johnny figures out what they’re after: the secret clause in the treaty, clause 27. This information must be given to the authorities, and to those who can help avert the war, like Carol’s father, Stephen Fisher (Herbert Marshall), who sits on the council like Van Meer. Carol, with whom Johnny’s now in love, brings him to her home, where Johnny tells his tale. It doesn’t take long for Stephen’s true colors to show, though, as Johnny finds him at home with one of the thugs he saw at the windmill. Now he’s got a real problem: how to keep Van Meer alive and reveal Fisher’s treachery quickly enough to save England, and perhaps Europe, without alienating his newfound love by calling her father a traitor. It’s a race against time, and time’s got the head start. Once again, we have a film that doesn’t really belong pushed to the second class of the Hitchcock filmography, one that is only there by virtue of Hitch’s enormous body of masterpieces. No, Foreign Correspondent doesn’t have Cary Grant, Jimmy Stewart, Grace Kelly or Ingrid Bergman, but the performances are almost uniformly outstanding. For a man who was once credited with comparing actors to cattle, Hitch sure knew how to handle them. Nonetheless, Hitchcock movies don’t evoke “performances” immediately; when someone says “Hitchcockian,” they’re talking about suspense. It’s in this area that Foreign Correspondent really brings home the bacon. From the pursuit of the assassin through the amazing recreation of Amsterdam square, to the wire-tight quiet suspense of the windmill scene, to the attempt on Jones’ life in the hotel to ffolliat’s intrusion on Van Meer’s torture, few films of any day can match the pitch-perfection with which each scene plays. Each action sequence is carefully spaced, which helps Foreign Correspondent remain genuinely gripping right down to its technically amazing finale. As with most films, Foreign Correspondent has its minor downfalls. For me, it’s the romance angle featuring Johnny and Carol Fisher. I know that the political climate of the world during those times often gave people a sense of urgency that led to these fast associations. Yes, I know Hollywood felt like every movie should have a love scene. This one falters because I can’t buy that Johnny, steadfast reporter though he may be, might jeopardize a life or the whole of Europe because he doesn’t want to hurt his girl’s feelings. As the film goes on, it gets literally laughably heavy on maudlin propaganda. Again, it’s important to understand the chronological context of the film, released just before America would get into fray, but still, playing the national anthem over the end credits, right after Johnny makes this completely over-the-top speech on the radio, that’s a little much. Forgivable, but it dates an otherwise still-fresh feeling film. 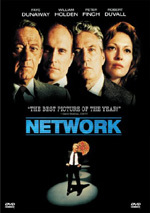 Foreign Correspondent appears in an aspect ratio of 1.33:1 on this single-sided, double-layered DVD; due to those dimensions, the image has not been enhanced for 16X9 televisions. Much like we did with Dial M for Murder, we have to judge Correspondent against its peers on DVD. The best way to describe the video quality on this disc is that the picture looks old. The black and white frame is covered with a consistent layer of scratches and nicks, something that points to a lack of digital restoration. There are also several different instances of a dark vertical streak running down the frame, which even with the filter of “comparing it to its contemporaries,” I had to penalize heavily. That streak isn’t even the worst offender. In the scene with the cathedral, where Rolet plans to kill Jones, the picture actually appears to vibrate in the frame, which is pretty close to inexcusable on the DVD medium. The black and white levels are consistent, and fairly distinct as noticeable in the windmill interior scene, but that’s about as complimentary as I can be for Foreign Correspondent. As with the rest of the Hitchcock signature collection, the audio is a monaural track whose main concern is being clear. No, it isn’t quite CD-quality, but for a film from the Roosevelt administration, it’s not so bad. The snappy dialogue really plays well, with consistent volume levels and distinction, it never becomes muddled. The film doesn’t have a lot of sound effects to push the abilities of the medium, but what’s here is as good as it could have sounded in 1940. Obviously directionality and ambient noises are nil, given the lack of dynamic channels. The bottom line on the audio is that it serves the film well, but doesn’t blow the covers off the speakers with imagination. Bonus materials are also limited, starting with the theatrical trailer, running one hundred and fifty seconds. As was the custom in those days, the trailer proclaims the film’s greatness in a shamelessly overstated way that’s almost amusing. 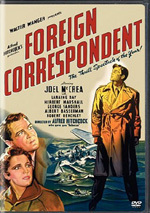 The only other feature on Foreign Correspondent is a fairly substantial half-hour featurette called Personal History: Foreign Hitchcock. This featurette starts out by dealing with the genesis of the film, which started with a script based on a book by a correspondent in the Spanish Civil War. The problem is that no one could find a way to make it work though the Thirties. When political climates started changing in Europe, and war seemed inevitable, studios took another look at the idea and basically overhauled it to fit the times. There’s the usual gamut of film historians and Hitchcock experts, this time including Rudy Behlmer, who’s been on a number of Hitchcock DVDs as a commentator. As usual there’s a lot of really interesting insight on Hitchcock as a man and as a filmmaker. With all the Hitchcock material I’ve watched since getting into DVD, you’d think a lot of this stuff would be rehashed. Somehow, that’s not the case, as on every disc, I learn something new about the man and the filmmaker. Once again, we have a DVD where the rating of the film is the crux of the matter, overriding all other factors. In my book, Foreign Correspondent is a good enough film to overcome the lackluster technical ratings and the poor bonus section. Sure, it’s on the outside looking in when it comes to the all time pantheon of Hitch films, but it’s not at the back of the bus, either. 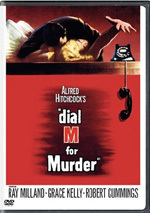 It’s got every one of the Hitchcock trademarks, except for big name stars: suspense, action, fun, great characters from villain to jester, and sharp, memorable dialogue. Foreign Correspondent is well worth the online discount price, and it’s one of those movies that makes me glad to have DVD player. Without it, I might never have discovered this fine little picture.